Take your Dad on a journey he’ll never forget this Father’s Day! It goes without saying that our Dads are special to us. He’s always been there for you, through the bad times and the good. He’d do anything for you – and you know it. Why not, then, give him the kind of really special, unforgettable gift he’ll never forget, and that he’ll thank you for forever? Well, we think we’ve got the perfect Father’s Day gift for him – a Helicopter Pleasure Flight on Father’s Day itself, 21st June, flying from The Moorlands at Owler Bar, Sheffield, S17 3BQ (A621 Sheffield to Baslow road, 4 miles South West of Sheffield, at junction of B6054 and B6051). You can rest assured that your dad will have the experience of a lifetime with our famous ‘Dambuster Run’, the ‘Chatsworth tour’ or a shorter, local flight. During the Dambuster Run, our helicopter flight will help your Dad retrace one of the thrilling Dambuster training routes flown by the famous 617 Squadron as its heroes mastered low-level flying, perfected their ‘dambusting’ technique and prepared for their daring strike on the Ruhr Valley. He’ll fly at around 1,500 feet, taking in some of the most picturesque scenery the Peak District has to offer, which includes some of the most spectacular countryside and historically significant landmarks in England. You can choose either a 20-minute or 30-minute journey, with the 20-minute version taking you via Hathersage, Stanage Edge, Bamford and the Ladybower and Derwent Valleys, while the 30-minute option takes you to and around Dams, then across Hope Valley to Bakewell and Chatsworth House. 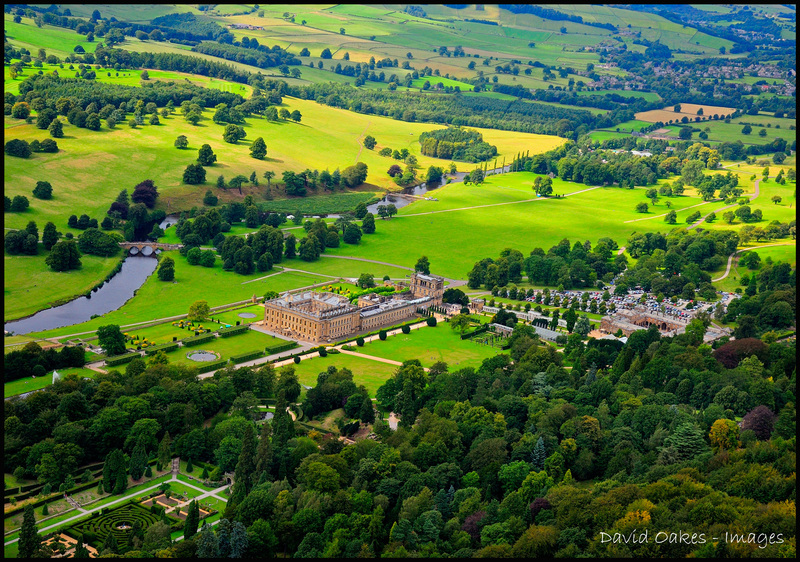 The glorious Chatsworth Tour, meanwhile, encompasses a flight over one of England’s very finest stately homes, and the beautiful countryside of Bakewell. The impressive Chatsworth House dates back to 1552 and is one of the finest and most celebrated examples of English Baroque architecture. It is the ancestral home of the Cavendish family, The Duke and Duchess of Devonshire. 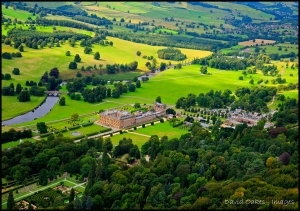 The 1000-acre park with 105 acres of garden and magnificent water features are clearly visible from the air and together with the property, emphasises the true grandeur of the Estate within Derbyshire. Bakewell straddles the River Wye and sits between the rolling limestone hills of the White Peak and the dramatic escarpments and moors of the Dark Peak grit stones. It is the only market town within the boundaries of the Peak District National Park. Its alluring courtyards, shops and cafes make it a very popular tourism destination, and it’s not hard to see why. 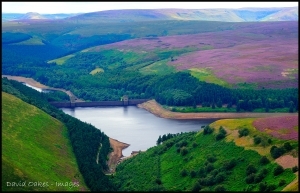 The 30-minute Chatsworth Tour from the Moorlands, Owler Bar, Sheffield, also incorporates the above locations plus The Dambusters Run over Ladybower Derwent Valley. In addition to the Dambuster Run and Chatsworth Tour ‘themed flights’, we also offer a range of shorter flight length options with the 5-minute trip take in the immediate local areas around Owler Bar and the 10-minute journey covering beautiful Hathersage and Stanage Edge. So, go on then – get booking and give your dad the gift he really deserves this Father’s Day. Click here for prices and booking information. Click here to see our calendar of flights taking place throughout the year.